Whether we like it or not, Big Data plays a big part in our lives. It can help us put together a full forecast and picture on how we compare to the other 28 million small businesses, to even how expensive our wedding day is on a national level. 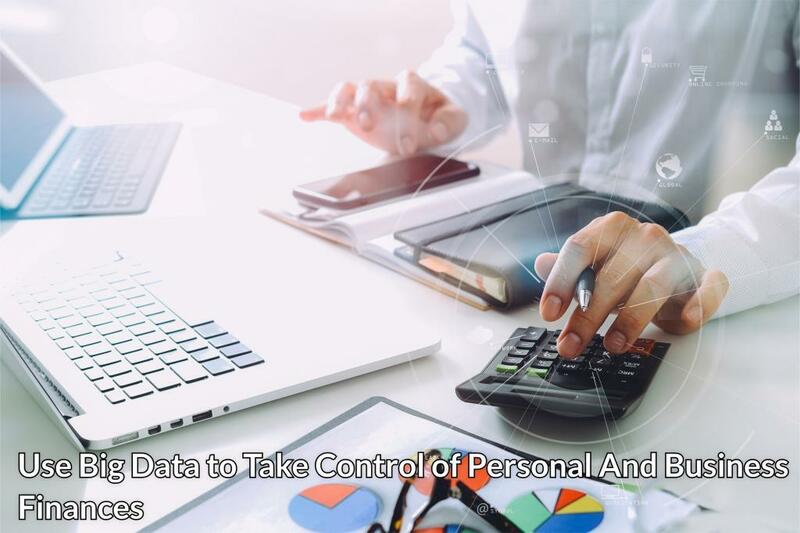 Never before in history have we been able to analyze segments of customers or markets on such a macro-level, which can play a major role in helping you find solutions for your personal and business finances. One of the most significant advantages of big data is its ability to aggregate how information about us can be utilized to find commonalities. In other words, if other people are facing a similar issue, then there has to be a common trend as that’s how that problem is being solved. For example, as student loan numbers have increased, we can examine how other people are reducing their debt here, and what practices you can follow to do the same. As Lexington Law, a credit repair firm notes, there are plenty of tips you can take on an individual level to start taking control of your finances. These begin with the core of your financial picture, your credit score, which can compare your creditworthiness amongst a national average. Additionally, organize your debt based on what has the highest interest rate, and strategize how you can knock those out first. And finally, saving even just 5-10% of your income can make a tremendous difference for the long haul, so coming up with a nest like that can be vital. The decisions you make with your current financial picture will dictate your financial freedom tremendously into the future. Whether you’ve begun your endeavors as an entrepreneur or not, your personal financial picture is going to play a significant role as to how lenders and potential investors are going to view you. From getting funding for a startup to even applying for a small business loan, as you’re the primary person that’s going to be in charge of spending, you’re the only cursor they have into what’s going to happen with their money. However, while this might sound like a daunting feat that could prohibit your opportunities, it can actually bring alongside an opposite effect if you play it smart. Most folks know that your credit score isn’t built in a day. No, as this thing follows you practically throughout your entire life, the number is heavily dependent upon a lot of factors, including your age, how much credit you’ve utilized, as well as primary factors such as payment history. If you’re able to take the financial data that applies to the current positioning you’re in and forecast what future opportunities might look like, you can come up with a plan that will eventually help you reach your goal. And as for what you can do in the meantime, there are plenty of options to bolster both your financial position as well as business/personal standing. A lot of what’s going to help you in proving to lenders or investors beyond just your credit or financial history is determining success both in your business and personal life. This can include acquiring more customers, revenue, or even expanding operations to show growth in your business. Additionally, these methods can be done by taking advantage of low-cost digital marketing objective, with a potentially high return, such as content marketing. As the cliche goes, there’s no shortcut to success, so take your time in brainstorming more approaches that are simple to execute for your business. The process you’re looking to endure is going to take a lot of foundational building. But like any solid foundation, this is going to help bolster your career tremendously if you’re patient. After all, the data and information are all there, all you need to do is start studying solutions that apply to you and set goals (most likely in longer increments, such as three, five, and ten-year marks). Which begs the question: how can data help your financial picture into the future?